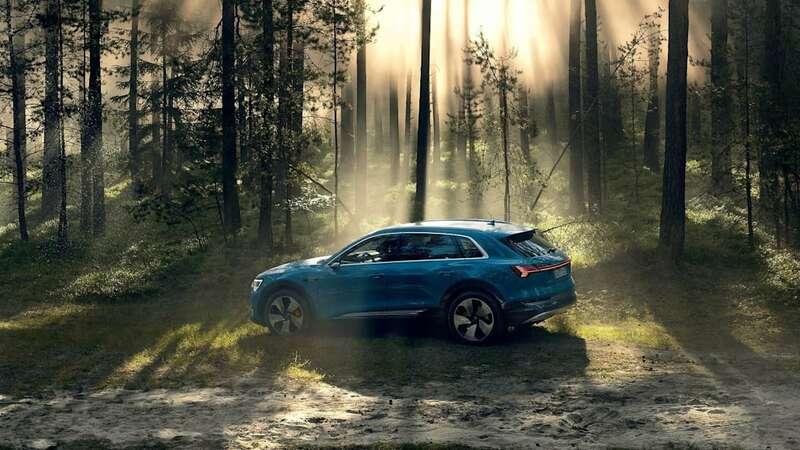 After months of seeing the 2019 Audi E-Tron in flashy camouflage, the company has finally revealed the all-electric crossover in bare painted sheetmetal. 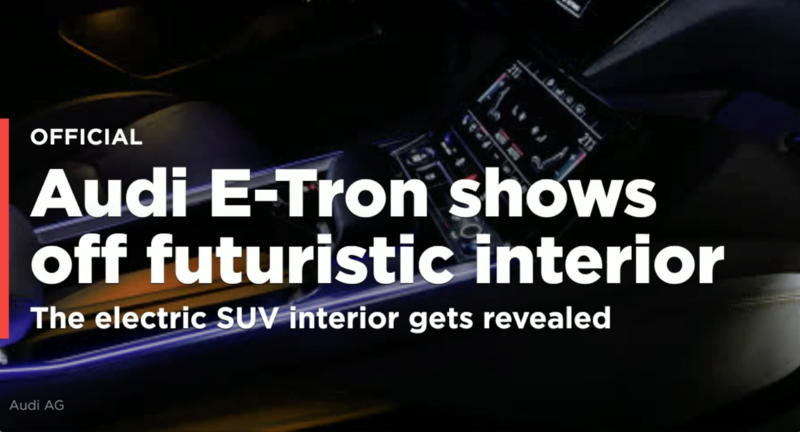 And go figure, it sure looks like an Audi. 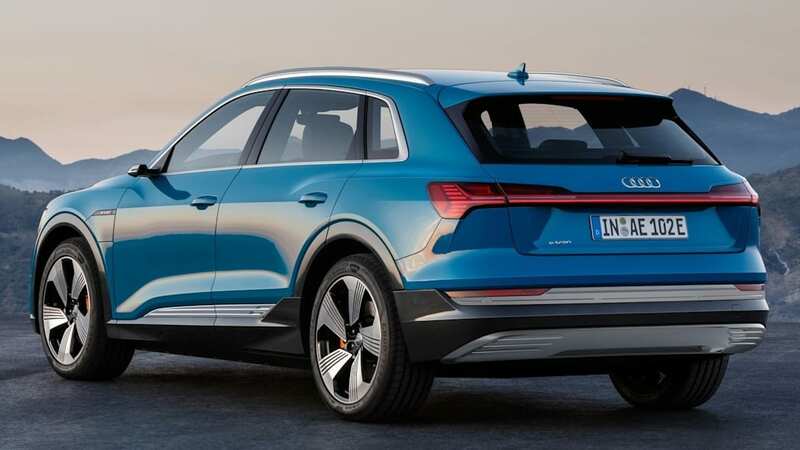 Specifically it looks like a mix of the flagship Q8 and the smaller Q3. 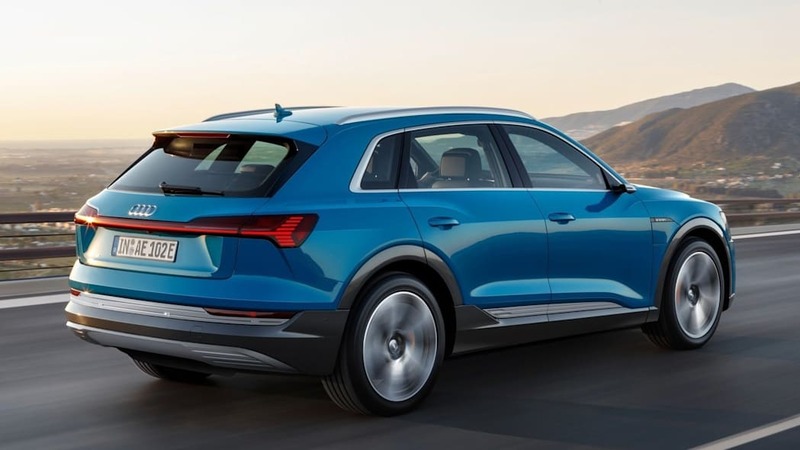 It has the chiseled fenders of the Q3, and the full-width taillights of the Q8. What's different from either of those is the nearly solid front grille painted in silver. We know from prototypes that there's a center section of the grille that is open, but it's well disguised. There are no tailpipes on this car, either. In their place are horizontal slats in the rear bumper. The side body cladding has additional slats that add interesting detail to the design. Some of the carefully creased panels are made of aluminum, too, such as the hood, doors and rear hatch. The interior is just like the exterior. 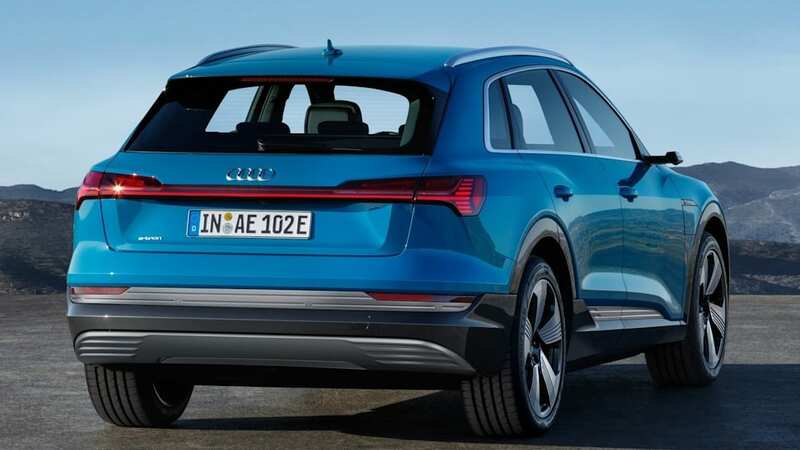 It's nearly a carbon copy of those found in the Q8, A8 and A7. It has two touch screens for the infotainment with a 10.1-inch unit at the top of the center stack and an 8.6-inch example below it. 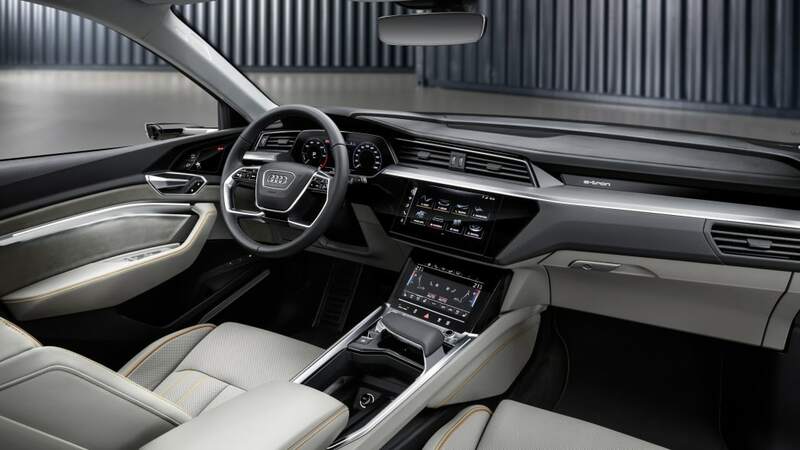 The instrument panel is yet another screen with Audi's Virtual Cockpit instruments. Key interior differences include a unique wrist rest that has a toggle on the edge for switching gears. And in the doors, there are small screens that display what the exterior side-view cameras show. Under the fairly conservative skin is a much more radical powertrain. 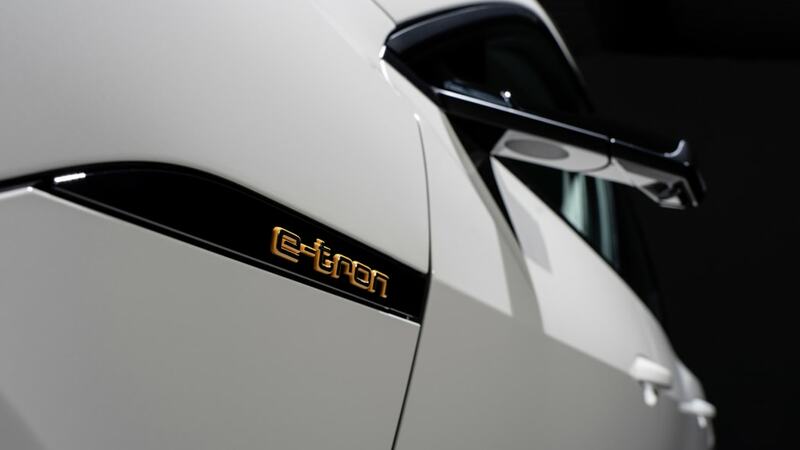 The E-Tron uses two electric motors, one large one for the rear, and a small one for the front wheels. 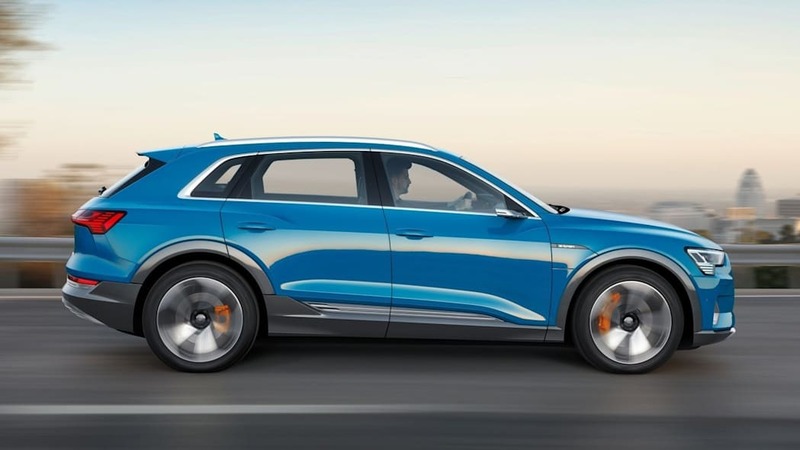 The company has previously estimated output at 355 horsepower and 414 pound-feet of torque in normal mode, output that can be produced for 60 seconds straight. There's also an overboost function that can operate for up to 8 seconds that brings power up to 402 horsepower and 490 pound-feet of torque. That latter number allows the car to hit 60 mph in 5.5 seconds on the way to a top speed of 124 mph. 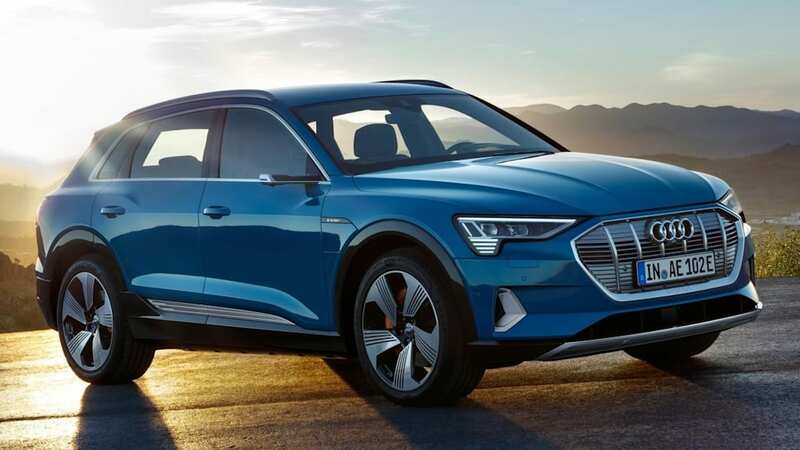 The E-Tron also can tow up to 4,000 pounds when equipped with the optional towing package. 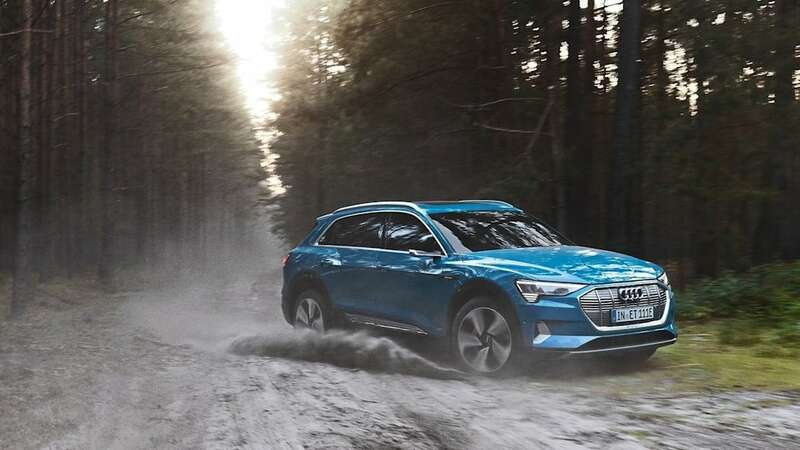 Depending on load, the E-Tron can drive using just the rear motor, and the front motor starts to power the front wheels when more power is demanded, or when driving conditions demand additional traction. In the floor between the motors is the battery pack, and at launch it will only be available in a 95-kWh form. Final EPA-rated range hasn't been released yet, but the WLTP rating for range is 248 miles. 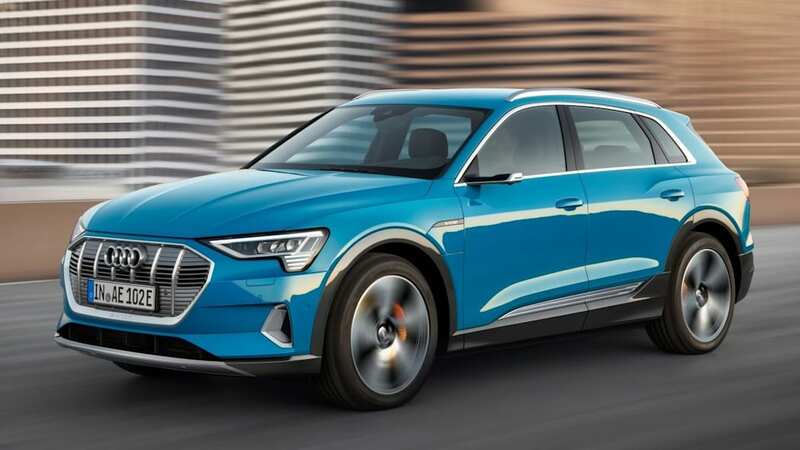 Audi says the E-Tron will also support 150-kW DC fast charging, which will allow it to regain 80 percent of its range in 30 minutes. 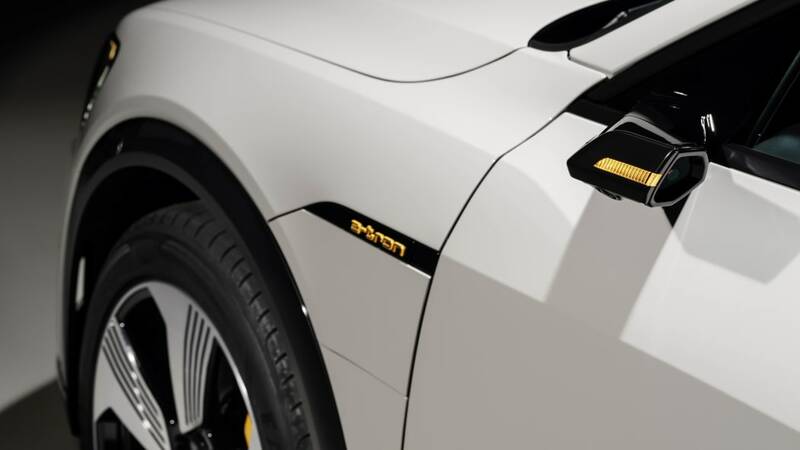 All E-Trons additionally come with a home charger that can support charging via 120-volt or 240-volt electrical outlets and 1,000 kWh of electricity from Electrify America charging stations. 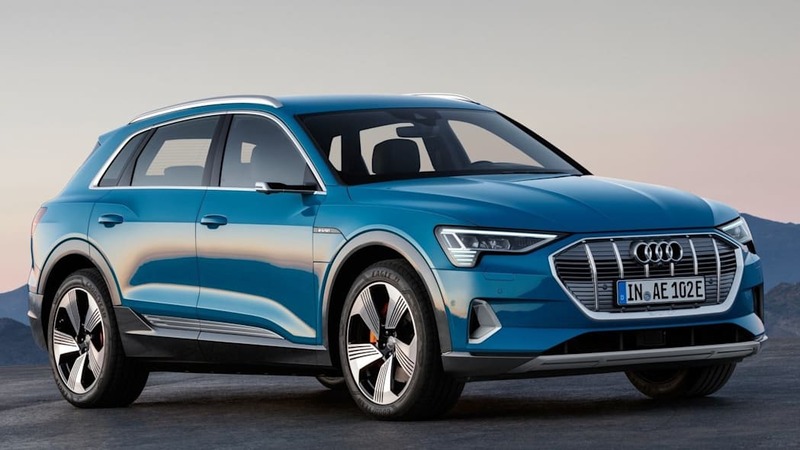 Audi says there will be 500 stations built or under construction by July 2019. 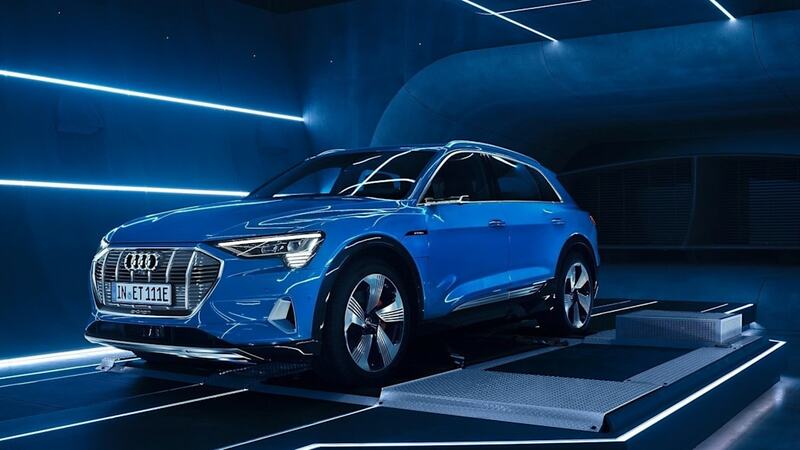 Beyond batteries and motors, the E-Tron features five-link independent suspension at all four corners. It's also an air suspension and has 3 inches of height adjustment. 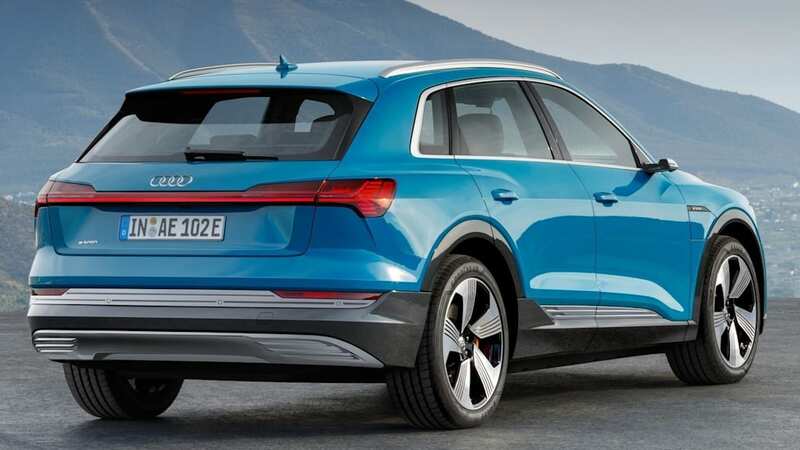 It can be raised for mild off-roading, and it automatically lowers on the highway for better aerodynamics. The car boasts nearly 50/50 weight distribution front and rear, too. Standard equipment for entry-level and mid-level E-Trons includes 20-inch wheels with 255-mm wide tires. Steering is via a variable-ratio rack-and-pinion setup, and braking is four-wheel-disc with generous regenerative braking available. The car can apply regenerative braking up to 0.3 g before the mechanical brakes start to be used. Drivers can adjust lift-off regeneration from none to maximum through three settings. Speaking of adjustable electronics, there are seven different driving modes, and stability control can be fully disabled. 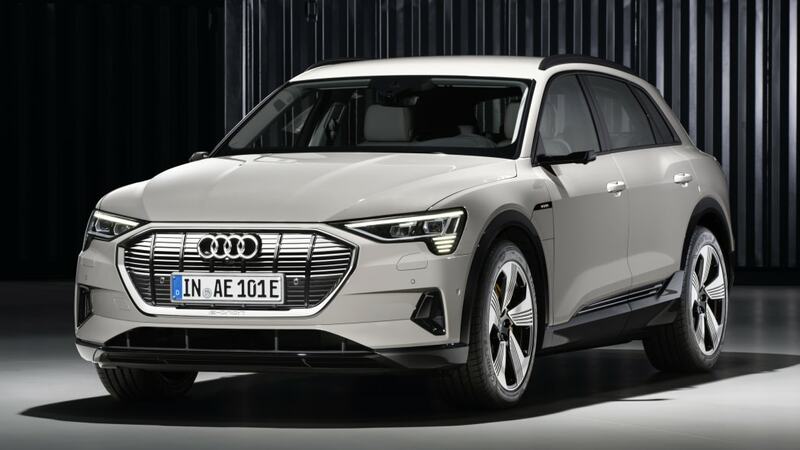 As for pricing, the E-Tron isn't cheap. The entry-level Premium Plus model starts at $75,795. 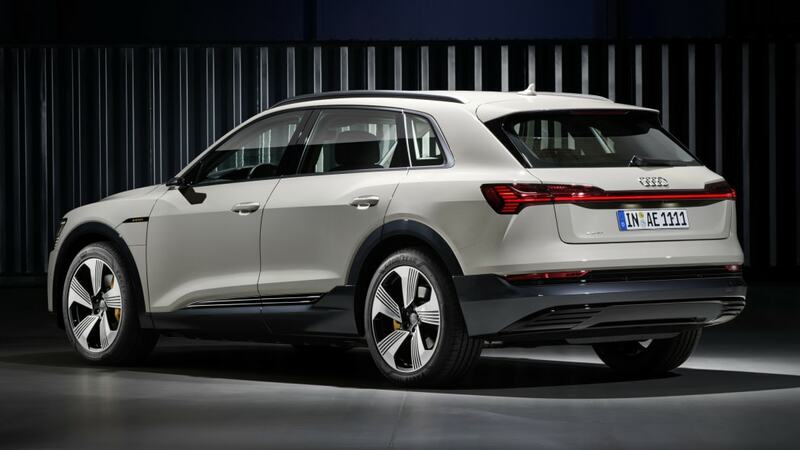 It does come well-appointed, though, with a 16-speaker B&O sound system, 12-way power heated and ventilated front seats, a panoramic sunroof and the aforementioned 20-inch alloy wheels. Moving up to the Prestige trim brings the price to $82,795. 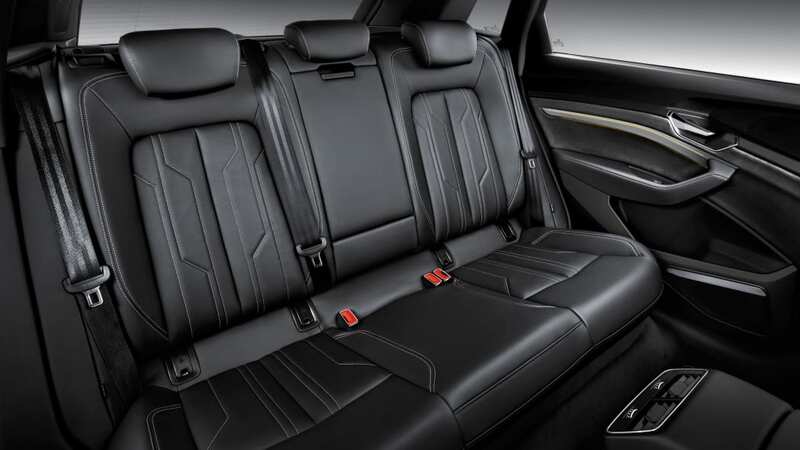 This trim adds a heads-up display, massage seats, power door closers, dual-pane windows, leather, memory driver's seat and two packages, an air quality package and the Driver Assistance Package. 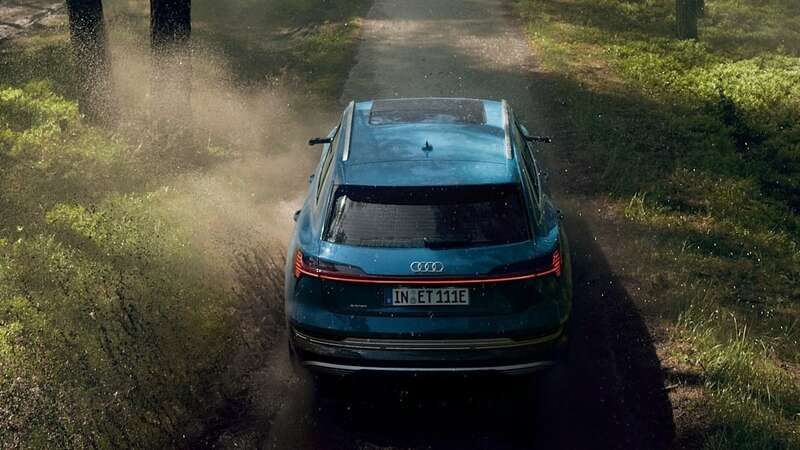 The latter features adaptive cruise control that can adjust speed for construction zones, curves and even roundabouts, and self-parking for parallel and perpendicular spaces. 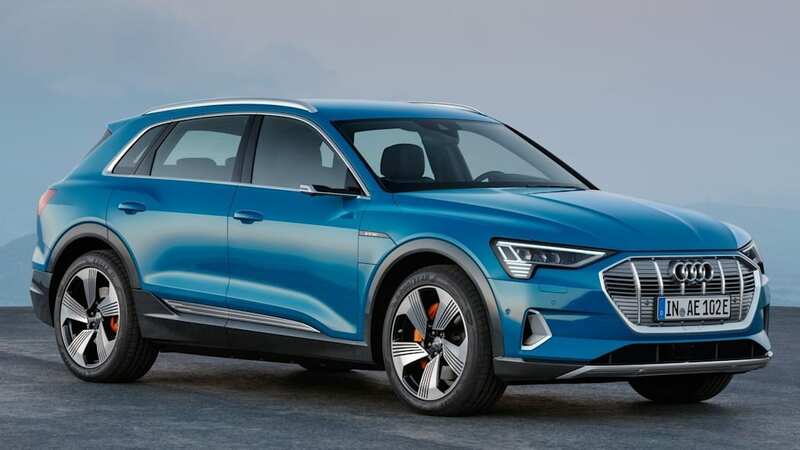 The top-rung First Edition model has a base price of $87,695, and it adds 21-inch wheels, orange brake calipers (no doubt a reference to the camouflage on the prototypes) and night vision. 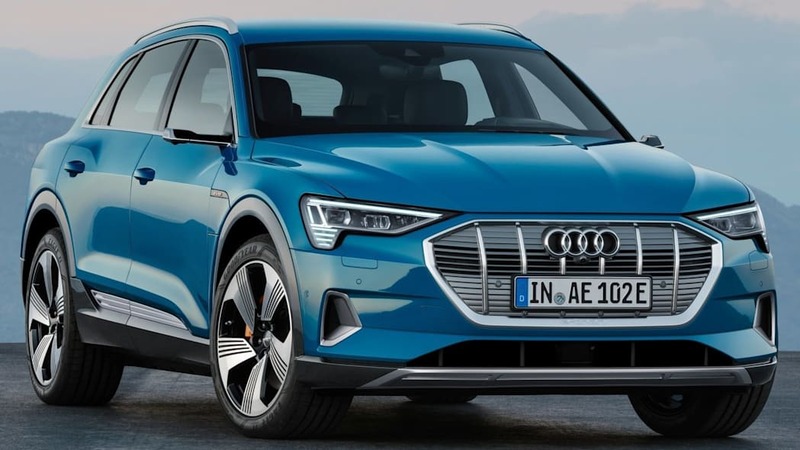 The 2019 Audi E-Tron goes on sale in the second quarter of next year. The company is currently taking pre-orders with a $1,000 deposit. 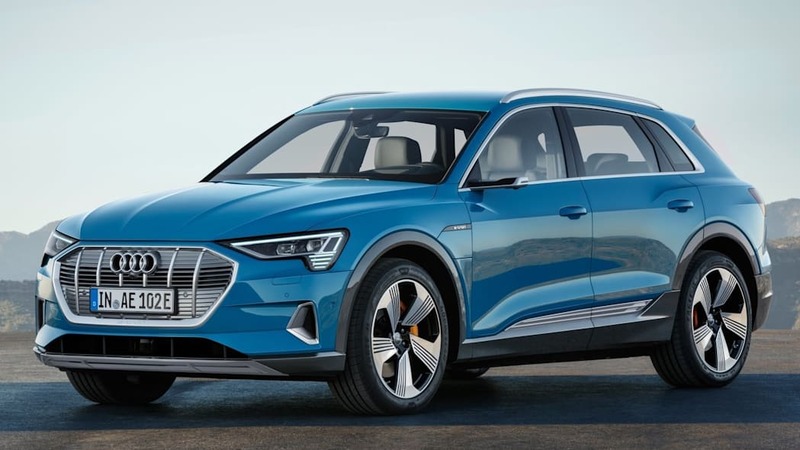 A configuration tool is also available for speccing out your preferred E-Tron before placing a deposit.